Owning an up-to-date computer is essential to complete today’s high-tech online courses. If you’re using a years-old desktop or perhaps public libraries, it’s time for an upgrade. Gizmodo warned about average prices of $550 for PC and $1,000 for Mac computers. However, these costly figures shouldn’t make you fear online higher education. That’s because several online colleges work with manufacturers to give students laptops for cheaper rates or totally free! To locate such institutions, we filtered out distance education providers on the NCES College Navigator. Next, we narrowed down based on availability of valuable technology initiatives. Each option had to provide 5+ online degrees, cut laptop costs, and be accredited by CHEA-recognized agencies. Below is our 20 Accredited Online Colleges Which Offer Laptops list sorted based on rankings like the U.S. News & World Report. Wake Forest University, the U.S. News & World Report’s 24th top value, awards the Technology Grant for free Dell XPS13 Non-Touch laptop purchases. The WakeWare Program helps access Blackboard for seven online options like the Master of Studies in Law, Master of Arts in Human Services, and Master of Science in Business Analytics. Learn more about Wake Forest’s Accredited Online College Which Offers Laptops here. Colorado Technical University, the U.S. News & World Report’s 115th best online school, created the Patriot Scholarship in 2018 to give Armed Forces veterans and their families free laptops. Recipients choose from 120 CTU Mobile programs like the Business Administration AS, Information Assurance BS, and Systems Engineering MS. Learn more about Colorado Technical University’s Accredited Online College Which Offers Laptops here. St. John’s University, Washington Monthly’ 189th top institution, gives entrants an Apple MacBook Pro or Lenovo ThinkPad Yoga Ultrabook with full warranty support. Laptops easily log into Blackboard for 26 online offerings, such as the MBA in Risk Management, MA in Global Development & Social Justice, and MPH in Public Health. Learn more about St. John’s University’s Accredited Online College Which Offers Laptops here. Indiana State University, Forbes’ 249th best public college, has April 15th and December 1st deadlines for the Sycamore Technology Award that covers full laptop costs for Pell-eligible students. Currently, Blackboard is utilized with 50 online degrees like the B.S. in Intelligence Analysis, B.S. in Adult Career Education, and M.A. in History. Learn more about Indiana State University’s Accredited Online College Which Offers Laptops here. Bethel University, Times Higher Education’s 478th top pick overall, grants full-time students free Chromebook laptops synced to Google Drive and Moodle with IT HelpDesk support. Adults age 23 or older then access 11 online degrees, including the BS in Customer Relationship Management, BS in Criminal Justice, and AAS in Liberal Arts. Learn more about Bethel University’s Accredited Online College Which Offers Laptops here. The University of Minnesota-Crookston, Niche’s 201st best small school, launched the Campus Notebook Program in 2009 to give degree-seeking students laptops that must be returned at graduation. System requirements for 16 Moodle programs like the BS in Communication, BS in Finance, and BS in Agricultural Business are satisfied. Learn more about the University of Minnesota-Crookston’s Accredited Online College Which Offers Laptops here. Saint Leo University, the U.S. News & World Report’s 47th top Southern college, has the UTS Laptop Rental Program to get HP computers with Microsoft Office365 and Symantec Antivirus. Enrolling at least part-time for one of 72 Blackboard degrees, such as the BA Religion, BS Health Care Administration, and MA Creative Writing, qualifies. Learn more about Saint Leo University’s Accredited Online College Which Offers Laptops here. Seton Hill University, the U.S. News & World Report’s 50th best Northern institute, is an “Apple Distinguished School” offering a 13″ MacBook Pro and iPad to full-time students via its Mobile Learning Program. Laptops sign into Griffin’s Lair for 16 Moodle degrees like the Behavioral Health B.A., General Studies B.A., and Special Education M.A. Learn more about Seton Hill University’s Accredited Online College Which Offers Laptops here. St. Mary’s University of Minnesota, Forbes’ 269th top private school, began the iPad Mobile Learning Initiative to issue Apple mini-laptops equipped with Skype, Adobe Connect, and Blackboard to post-grads. Apps help tackle 19 online programs, including the MEd in Learning Design, MA in Public Administration, and MBA in Sustainability. Learn more about St. Mary’s University of Minnesota’s Accredited Online College Which Offers Laptops here. Full Sail University, Niche’s 288th most diverse college, partnered with Apple for the Project LaunchBox Initiative that awards the latest MacBook Pro to new online students with software discounts. Offers apply to 29 accelerated Moodle programs like the Internet Marketing BS, Animation BS, and Entertainment Business MS taking 12-29 months. Learn more about Full Sail University’s Accredited Online College Which offers Laptops here. Rochester College, Washington Monthly’s 271st best liberal arts school, lets students admitted before May 31st for Fall and November 30th for Spring pick a free Apple MacBook Pro or iPad. Starting with the WEB1000 Orientation, Moodle courses lead to seven online degrees like the BS in Psychology, BS in Management, and BS in Ministry. Learn more about Rochester College’s Accredited Online College Which Offers Laptops here. Wentworth Institute of Technology, the U.S. News & World Report’s 70th best Northern value, has included an HP Windows or Apple MacBook laptop within tuition since Fall 2004. Systems are configured for six Blackboard options, including the M.S. in Applied Computer Science, M.S. in Construction Management, and B.S. in Project Management. Learn more about Wentworth Institute of Technology’s Accredited Online College Which Offers Laptops here. Chatham University, Niche’s 153rd best free application college, charges a $1,335 mandatory fee that includes the Laptop Program granting a MacBook Air with AppleCare and SafeWare coverage. Seven-week Moodle courses complete 12 programs like the RN-BSN, B.A. in Business Administration, and M.S. in Interior Architecture faster. Learn more about Chatham University’s Accredited Online College Which Offers Laptops here. Oklahoma Christian University, WalletHub’s 279th most selective institution, earned “Apple Distinguished School” status in 2012 for issuing MacBook Pro laptops and iPhones or iPod Touches. Incoming students log into Blackboard for nine degrees, such as the MBA in Marketing, MS in Engineering Management, and BA in Interdisciplinary Studies. Learn more about Oklahoma Christian University’s Accredited Online College Which Offers Laptops here. Strayer University, College Factual’s 55th most location diverse school, lets online students file the Laptop Agreement on DocuSign for brand-new Microtek devices that become theirs after three quarters. Blackboard applications are loaded for 23 options like the AA in Information Systems, BS in Criminal Justice, and MS in Human Resources. Learn more about Strayer University’s Accredited Online College Which Offers Laptops here. Northwest Missouri State University, the U.S. News & World Report’s 86th best Midwest choice, saves students $7,300 by providing fully loaded HP EliteBooks, Microsoft Office, and textbook rentals. Fourteen online degrees like the B.S. in Business Management, M.S. in Geographic Information Science, and M.S.Ed. in Reading are on Blackboard. Learn more about Northwest Missouri State University’s Accredited Online College Which Offers Laptops here. Long Island University, The Economist’s 375th most value-added college, has disbursed nearly 20,000 free or discounted $250 Apple iPad minis with Siri since Fall 2010 for mobile access. Like laptops, the easy-to-handle tablets assist with 32 LIU Online programs, including the Taxation M.S., Homeland Security M.S., and Nurse Educator M.S. Learn more about Long Island University’s Accredited Online College Which Offers Laptops here. Independence University, Niche’s 103rd best distance institution, started the no-cost Tools for Success Initiative that gives online students tablets in the first and laptops in the fourth modules. The 24/7 Canvas access speeds up 26 virtual degrees, such as the BS in Forensic Accounting, AOS in Medical Specialties, or MBA in Entrepreneurship. Learn more about Independence University’s Accredited Online College Which Offers Laptops here. Southern Nazarene University, the U.S. News & World Report’s 96th best Western college, runs the Laptop Center to bestow the Dell Latitude 3380 or 13″ MacBook Pro during its New Student Institute. Six cheap online programs like the Network Management BS, Organizational Leadership BS, and Sport Management MS are finished on Moodle. Learn more about Southern Nazarene University’s Accredited Online College Which Offers Laptops here. Grantham University, Military Times’ 93rd best for vets school, began the Education Technology Grant in 2009 for full-time online students with minimum “C” averages to receive Dell laptops free. Signing into GLife accounts starts 43 online options like the Performance Improvement MS, Financial Planning BBA, or Medical Coding/Billing AAS. Learn more about Grantham University’s Accredited Online College Which Offers Laptops here. This entry was posted in Accredited Online Programs on October 22, 2018 by rebecca genter. What is National Accreditation and How is National Accreditation Changing? The United States’ education landscape is exploding with traditional and distance options to reach your post-high school goals. According to the NCES College Navigator, there are 7,151 Title IV institutions that enroll 21 million students, nearly 6 percent of the entire population. With so many schools available, picking just one to spend 2-4 years at can be stressful. Further, it’s tough to judge the academic quality yourself before actually entering the classroom. Luckily, accreditation is a shining trusted beacon pointing students toward valuable education. Getting accredited is a voluntary, third-party process where colleges agree to rigorous testing of their instructional practices. Accreditation is an ongoing review that requires continual improvement to address areas of weakness. Attending an accredited school is crucial to ensure your degree is legitimate, meets set standards, and has employer recognition. In this article, we’ll narrow in on national accreditation to examine its worth and current changes. National accreditation is an institutional-level stamp of approval from U.S. agencies that aren’t restricted by geographic limits. Unlike regional accreditation, it’s not based on campus location because many of the colleges have multiple sites. All nationally accredited schools are privately owned on for-profit or nonprofit models. Some deliver traditional academics, but many focus on occupational, religious, online, or technical education. National accreditation is all-inclusive to span a member’s entire teaching spectrum. That’s different from programmatic accreditation that only applies directly to discipline-specific degrees. Obviously, the three accreditation types have inherent differences, but they use similar appraisal styles. National accreditors still formulate specific guidelines that must be executed during candidacy before full membership. While there are six regional accreditors, there are currently 11 agencies that award national accreditation. Each has met the academic quality standards of the U.S. Department of Education, Council on Higher Education Accreditation, or both. Therefore, these 11 are the most trusted for finding suitable degree-granting institutions. Please note that GetEducated.com has found over 40 fake accrediting organizations made up by diploma mills. Always check the authenticity of accreditation listed on colleges’ websites to avoid scams. So let’s introduce six of the most popular national accreditation providers that the CHEA and DoED currently approve of. Accreditation organizations first popped up in the late 1800s to simply create universal standards for different types of college education. However, a shift started when Congress passed the 1944 GI Bill to educate over 8 million returning WWII vets. Since $14.5 billion was budgeted here, the government wanted to ensure the money was well-spent at state qualifying institutions. Then, the 1952 GI Bill for Korean War soldiers went further to mandate accreditation for funding. Thirteen years later, the Higher Education Act expanded federal grants to non-military students at accredited colleges. The Feds have even more governance over the accreditation process today. The HEA reauthorization in 2008 greatly expanded the oversight of accreditors. Watchdog investigations are increasingly active to stop schools, especially the influx of online ones, from defrauding learners. National accreditation is now heavily scrutinized and needs U.S. Department of Education approval for FAFSA eligibility. Overall, nationally accredited colleges provide plenty of benefits. They’re usually cheaper, more flexible, more career-oriented, and easier to apply to. Nonetheless, national accreditation is often viewed as less superior to regional and programmatic approvals. Credits from nationally accredited institutes can’t be transferred to undergrad or grad schools with regional accreditation. Likewise, nationally accredited degrees sometimes don’t qualify for scholarships, tuition reimbursement, and career certifications. Now that we’ve explored what is national accreditation and how is national accreditation changing, you can make informed enrollment decisions. This entry was posted in Frequently Asked Questions on September 17, 2018 by rebecca genter. Today’s wannabe B-school students are faced with the conundrum of needing at least a four-year baccalaureate but not wanting to rack up debt. Fortunately, online business bachelor’s degrees can provide a simple solution: cheaper courses! Online colleges have less overhead costs to keep tuition below the average totals of $56,840 to $104,400 cited on CNN Money. Paying smaller fees online will give you better ROI in business professions expecting 10 percent growth by 2026. The Bureau of Labor Statistics lists a median business wage of $67,710, but titles like budget analyst, tax examiner, purchasing manager, sales engineer, securities agent, and economist reap even better salaries. In 2017, the Collegiate Employment Research Institute‘s data placed business majors #3 for strong earnings. Getting from freshman to senior year in good financial shape is the ticket. Therefore, this article will point you toward the 15 Most Affordable Online Business Bachelor’s Degrees that can boost hiring capital for less cash. First, we used the Open Education Database to sort the 2,029 four-year U.S. colleges with online bachelor’s options from low to high tuition. Our next step was determining which of the cheapest schools conferred degrees in business administration, management, or education. Online resources like the U.S. News & World Report and Niche helped narrow down the best values. Second, we set a financial cutoff of $350 per credit for out-of-state online students to retain affordability. This means that every selection had to offer quality online courses at $1,050 or less to everyone. Our cheapest pick costs only $199/credit for a four-year total of $23,880! Third, we checked that each entry had current regional or national accreditation. Special accreditations, such as the Association to Advance Collegiate Schools of Business (AACSB), were always noted too. Scroll down to review our 15 Most Affordable Online Business Bachelor’s Degrees for great BBA bargains that are flexible but practical. Featured in CEO Magazine’s Tier One, the AACSB-accredited Richards College of Business led by Dr. Faye McIntyre offers University of West Georgia students the cheap Online B.B.A. primarily on Desire2Learn. The 120-credit degree minimizes Carrolton visits in six tracks: Real Estate, Accounting, Finance, Economics, Management, and Marketing. Learn more about the Most Affordable Online Business Bachelor’s Degrees at the University of West Georgia here. Ranked #35 on the U.S. News & World Report, Fort Hays State University houses an Online BBA within the HLC-accredited Department of Management that’s chaired by Dr. Rick Edgeman at McCartney Hall. The 124-credit Blackboard sequence focuses in Human Resources, Entrepreneurship, Management, or Operations Management. Learn more about the Most Affordable Online Business Bachelor’s Degrees at Fort Hays State University here. Southern Oregon University, America’s 137th most liberal school on Niche, grants the Business Administration BA/BS Online headed by Dr. Katie Pittman via Moodle in the ACBSP-accredited School of Business. Classes average just 26 pupils for this affordable 60-credit completion program with two specializations in Accounting and Management. Learn more about the Most Affordable Online Business Bachelor’s Degrees at Southern Oregon University here. Since 2014, the IACBE-accredited College of Business at Eastern Oregon University, The Economist’s #216 most value-added institution, has utilized Canvas for the Online B.S. in Business Administration. This 120-credit degree directed by Dr. Laura Gow-Hogge offers Global Food Systems, Marketing, Accounting, and Leadership options. Learn more about the Most Affordable Online Business Bachelor’s Degrees at Eastern Oregon University here. The Online B.S. in Business Administration overseen by Dr. Randall Dupont, the 2005 William A. Megginson Award recipient, at Louisiana State University-Alexandria is labeled PayScale’s 37th best buy for median mid-career income of $71,700. Starting seven times yearly, the 120-credit, ACBSP-accredited degree has seven-week Moodle courses. Learn more about the Most Affordable Online Business Bachelor’s Degrees at Louisiana State University-Alexandria here. Placed in Times Higher Education’s global top 350, the University of Alaska-Fairbanks makes the AACSB-accredited School of Management led by Dr. Mark Herrmann accessible with its Online BBA on Blackboard. Majors choose two concentrations from Leadership, General Business, Marketing, and Sport Management for the 120-credit bachelor’s. Learn more about the Most Affordable Online Business Bachelor’s Degrees at the University of Alaska-Fairbanks here. Amberton University ranked #283 nationally on College Factual for its SACS-accredited Business Division directed by Dr. Karen Houdashell of AT&T that presents an Online BBA. The Pay-As-You-Go method keeps Blackboard courses for the 120-credit program’s Project Management, Accounting, Management, and General Business tracks inexpensive. Learn more about the Most Affordable Online Business Bachelor’s Degrees at Amberton University here. Bestowed the 2015 Legion de Lafayette Award, Grantham University catalogs Blackboard courses for an Online Business Administration B.S. in the IACBE-accredited Mark Skousen School headed by Dr. David Marker. This 124-credit, veteran-friendly degree takes 38 months in two optional tracks: Human Resource Management or Accounting. Learn more about the Most Affordable Online Business Bachelor’s Degrees at Grantham University here. Ranked #35 on Niche’s best online colleges, Valley City State University has an 11:1 student-faculty ratio under Dr. Jeffrey Moser in the Department of Business for a unique Online B.S. in Business Education. The 72-credit, CAEP-accredited program admits juniors with minimum 2.75 GPAs for Blackboard courses and 12-week teaching practica. Learn more about the Most Affordable Online Business Bachelor’s Degrees at Valley City State University here. At the University of Northwestern Ohio, the ACBSP-accredited College of Business was #299 on College Factual for attracting cohorts of 25 to the Online Business Administration B.S. from 50 states and 49 nations. The 180-credit Canvas option coordinated by Dr. Dean Hobler splits into Agribusiness, Automotive Management, and Marketing. Learn more about the Most Affordable Online Business Bachelor’s Degrees at the University of Northwestern Ohio here. Accredited by the ABHE in 2013, South Florida Bible College landed #26 on Affordable Colleges for five cheap faith-based online majors, including the B.A. in Christian Business Management. The 120-credit degree advised by Prof. Joshua Drabik utilizes Moodle for courses like Team Ministry, Biblical Doctrines Survey, and Microeconomics. Learn more about the Most Affordable Online Business Bachelor’s Degrees at South Florida Bible College here. Included in the U.S. News & World Report’s 346 best, Drury University awards an Online BBA on Moodle from its AACSB-accredited Ernest R. Breech School of Business that’s directed by Dr. Jim Wang. The 79-credit major admits transfers who’ve completed 45+ credits graded “C” or higher for generalist courses from Finance to Ethics. Learn more about the Most Affordable Online Business Bachelor’s Degrees at Drury University here. Toccoa Falls College, the South’s 21st top value on WalletHub, has eight-week Blackboard sessions for an Online B.S. in Business Administration in the School of Professional Studies run by Dr. Thomas Council. The 126-credit, SACS-accredited degree is tailored with Nonprofit Administration, Organizational Leadership, or Sport Management minors. Learn more about the Most Affordable Online Business Bachelor’s Degrees at Toccoa Falls College here. Chaired by Dr. Venky Venkatachalam, a 2006 Faculty Excellence Award winner, the Beacom School of Business at the University of South Dakota makes Forbes’ top 500 overall with a cheap Online BBA on D2L. The 75-credit, AACSB-accredited completion program immerses transfers in Accounting, Economics, Finance, eCommerce, or Marketing. Learn more about the Most Affordable Online Business Bachelor’s Degrees at the Univeresity of South Dakota here. Saint Joseph’s College of Maine, the North’s 136th best pick on the U.S. News & World Report, confers an Online Business Administration BS via the NEASC-accredited Business Division headed by Prof. Nancy Kristiansen. The 128-credit, fast-track Blackboard path has Accounting, Banking, Management, or Sales & Marketing concentrations. Learn more about the Most Affordable Online Business Bachelor’s Degrees at Saint Joseph’s College of Maine here. This entry was posted in University Rankings on August 30, 2018 by rebecca genter. Online associate degrees are two-year, lower-division undergrad programs that use internet classrooms to prepare for the workforce or launch bachelor’s transfers. Earning an associate online is an attractive option for high school grads or GED recipients. First, Rasmussen University found an associate degree makes you eligible for 134 percent more postings or over 6.3 million jobs. Associate curricula is packed with more career-oriented and less liberal arts courses. Reaching graduation takes just 24 months instead of 48, or even less if accelerated online, to reduce your likelihood of study disruptions. Getting an online associate boosts median pay from $25,636 to $41,496 according to SmartAsset. But most importantly, online associate tuition is considerably lower to avoid racking up big debt. The majority bill less than the average cost per credit of $594 on Student Loan Hero. In this article, we’ll list some of the most affordable online, accredited associate degree programs that maximize your investment. Ranked in Community College Week’s top 50 for tech services, Washtenaw Community College is a public, HLC-accredited junior institution and Pacemaker Award winner in Ann Arbor that’s grown since 1965 to admit 13,000 Wolves with 100 percent acceptance. On Blackboard Learn, undergrads access cheap, asynchronous courses costing just $115 per credit for 18 associate degrees. Consider earning Washtenaw’s Construction Supervision AAS, Retail Management AAS, Industrial Training AS, Liberal Arts Transfer AA, or Business AA entirely online. Founded in April 1967, McHenry County College is a two-year, coed “Military Friendly” state school and the SR Education Group’s sixth cheapest choice that expands beyond Crystal Lake, Illinois, to serve nearly 60,000 people across 93 programs. Online students spend only $107 per credit on Nelnet payment plans to access nine flexible associate degrees via Canvas. Great options include McHenry’s Accounting AAS, Criminal Justice AAS, Computer Network Security AAS, Administrative Office Management AAS, and Associate in General Education. Enrolling over 10,000 Dolphins from 50+ nations, Shoreline Community College is a public, coed NWCCU-accredited junior school with a 26-building King County campus outside Seattle that’s won the 2011 Bellwether Award and 2017 Toyota T-Ten Award. Ranked #1 in Washington, the Virtual Campus delivers 15 online associate options reasonably billing $117 per credit on Blackboard Collaborate. Perhaps pursue Shoreline’s History AA, Psychology AA, Health Information Technology AAS, English Literature AA, or Supply Chain Management AAS at a distance. Given the 2017 EBSCO Learning Resources Leadership Award, Cochise College is a public, Hispanic-serving undergrad institution in Sierra Vista, Arizona, that’s ranked 121st nationally by Niche for effectively teaching 8,000 Apaches with HLC accreditation. Celebrating its 20th year, the Virtual Campus specifically attracts 2,500 to Moodle for 12 online associate degrees priced at $133 per credit. Check out Cochise’s cheap AA Philosophy, AAS Programming, AA Economics, AA Social & Behavioral Sciences, or AAS Intelligence Operations Studies degree. 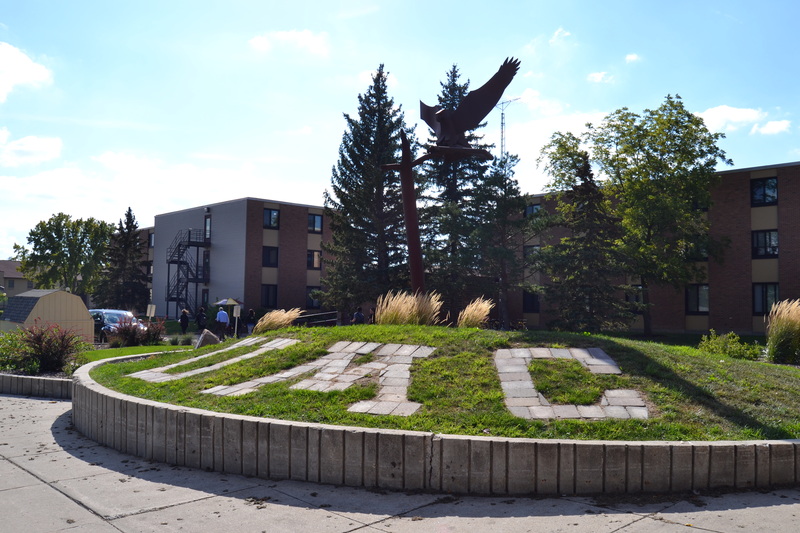 Awarding $12.12 million in annual aid, Northeast Community College is a public, HLC-approved junior system and 2017 Aspen Prize finalist based in Norfolk, Nebraska, that’s ranked 130th countrywide on Niche by training 13,512 Hawks for 98 percent job placement. On Canvas, students are charged $134 per credit for 16 affordable online associate programs accessed anywhere. The excellent choices include Northeast’s Agriculture AA, Law Enforcement AA, Early Childhood Education AA, General Studies AA, and Administrative Professional AAS. Budgeting $3.78 million, Dakota College at Bottineau is the public, two-year NDUS polytechnic affiliate of Minot State University, America’s 24th top online school on Niche, that’s HLC-accredited in the Turtle Mountains to grant 25,526 total credits yearly. The Blackboard classroom has 45 percent student retention in 100+ courses and 17 fully online degrees charging just $150 per credit. Look into Dakota’s Child Development AAS, Liberal Arts AA, Urban Forest Management AS, Advertising & Marketing AAS, Recreation Management AAS, and more. Bestowed the 2017 NACCE EntreEd Grant, Big Sandy Community & Technical College is Kentucky’s sixth best public, two-year learning hub on Niche that’s led by Dr. Anthony Newberry in Prestonsburg to support 4,715 for-credit Owls. Undergrads picking from 22 SACS-accredited associate degrees in the Online Division presently pay $169 per credit with funds like the Berlie & Jane Salmons Scholarship. Cheap tracks include Big Sandy’s AAS Energy Management, AAS Paralegal, AAS Mining Technology, AAS Marine Logistics Operations, and AAS Human Services. The lucky seven schools featured above just scratch the surface of cheap undergrad learning available 100 percent on the World Wide Web. Other high-quality yet affordable online associate degree programs are found at Atlanta Technical College, Great Basin College, Fox Valley Technical College, Clovis Community College, Perimeter College, Illinois Central College, Foothill College, and Fayetteville Technical College for under $200 per credit too. This entry was posted in Frequently Asked Questions on July 28, 2018 by rebecca genter. Learn more about the Most Affordable Online Associate Degree Programs at Clovis Community College here. Learn more about the Most Affordable Online Associate Degree Programs at Barton Community College here. Learn more about the Most Affordable Online Associate Degree Programs at Lone Star College here. Learn more about the Most Affordable Online Associate Degree Programs at Arkansasa Northeastern College here. Learn more about the Most Affordable Online Associate Degree Programs at San Juan College here. Learn more about the Most Affordable Online Associate Degree Programs at Southeast Community College here. Learn more about the Most Affordable Online Associate Degree Programs at Western Iowa Tech Community College here. Learn more about the Most Affordable Online Associate Degree Programs at Lake Region State College here. Learn more about the Most Affordable Online Associate Degree Programs at Hutchinson Community College here. Learn more about the Most Affordable Online Associate Degree Programs at North Hennepin Community College here. Learn more about the Most Affordable Online Associate Degree Programs at Broward College here. Learn more about the Most Affordable Online Associate Degree Programs at Amarillo College here. Learn more about the Most Affordable Online Associate Degree Programs at Cowley Community College here. Learn more about the Most Affordable Online Associate Degree Programs at Peninsula College here. Learn more about the Most Affordable Online Associate Degree Programs at Albany Technical College here. This entry was posted in University Rankings on June 21, 2018 by rebecca genter. Master’s degrees are post-grad, second-cycle academic offerings awarded by universities as advancement tools for specialized professional practice. Earning a master’s is considered a prerequisite for many high-paying jobs, such as economist, school administrator, statistician, political scientist, financial advisor, marketer, and operations manager. According to Jobscan, 16 million U.S. adults now hold a master’s degree. This represents a 43 percent increase from 2002 since many employers have risen their educational standards. The Lumina Foundation reports that average income jumps from $50,360 at the bachelor’s level to $68,064 with a master’s degree for a median lifetime salary of $3.65 million. With the advent of technology, online colleges are also making master’s programs easier and more accessible than ever. 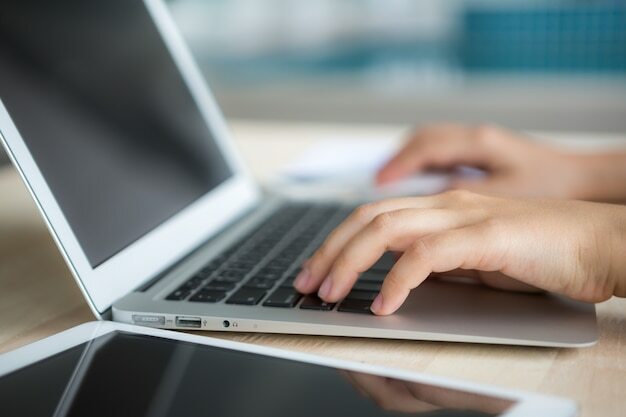 Although graduate school should never be effortless, we’ve researched the Top 20 Easy Accredited Online Master’s Degrees that won’t require jumping through hoops. We used the U.S. News and World Report’s “Online Colleges Guide” to find universities offering at least five master’s degrees. We prioritized schools that offered condensed terms, course-only tracks without research, transfer credits, shorter curricula, GRE/GMAT waivers, and fast average graduation times. Our search was focused on simpler, nontechnical majors, so you won’t find tough data analytics or computer engineering degrees here. Each easy online school had to have CHEA-recognized regional accreditation for industry recognition. We also considered online rankings, class sizes, tuition prices, ease of technology, faculty support, and demand. Founded on San Jacinto Day in 1879 by Governor Oran M. Roberts, Sam Houston State University is Texas’ third-oldest public, coeducational research institute endowed for $97.5 million that offers 59 master’s degrees to 6,477 post-grad Bearkats in Huntsville and beyond. The U.S. News ranked SHSU for America’s #1 best online master’s criminal justice and 11th best online master’s technology degrees. On Blackboard, graduates can easily access 36-credit, non-thesis programs, including the Victim Services Management M.S. and Sociology M.A. Learn more about Easy Accredited Online Master’s Degrees at Sam Houston State University here. Labeled one of Sierra Club’s “Cool Schools,” Arizona State University is a public, research-intensive ABOR institution of the PLUS Alliance that’s serving 13,098 post-grad Sun Devils under President Michael M. Crow with Tempe, Downtown, Polytechnic, and Online courses. The U.S. News recognized ASU for America’s fifth best MBA and criminal justice master’s programs online. Arizona State offers 7.5-week online scheduling for finishing easy, nontechnical degrees like the M.A. in English or Master of Liberal Studies in 30 credits. Learn more about Easy Accredited Online Master’s Degrees at Arizona State University here. Sitting atop the Barren River Valley in Bowling Green, Western Kentucky University is endowed for $125.5 million under President Timothy C. Caboni to serve 3,066 post-grad Hilltoppers as a public, coeducational research institution of Conference USA. The U.S. News ranked WKU for America’s 15th best online criminal justice and 21st top online nursing master’s programs. Waiving GRE scores, WKU has easy, 30-credit online master’s degrees on Blackboard, such as the M.A. in Organizational Leadership or M.S. in Sports Media. Learn more about Easy Accredited Online Master’s Degrees at Western Kentucky University here. Fully HLC accredited, Ball State University is a public, eight-school doctoral research institute founded by F.A.Z. Kumler in 1876 that’s now affordably educating 4,987 post-grad Cardinals on its 109-building campus in Muncie, Indiana and online with eBooks. The U.S. News applauded BSU for America’s 12th best online MBA and 16th top online master’s teaching degrees. Ball State simplifies its 30-credit, non-GRE online programs like the M.A. in Community Education and M.A. in Executive Development for 12-month completion. 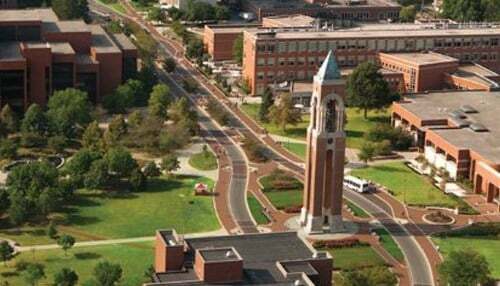 Learn more about Easy Accredited Online Master’s Degrees at Ball State University here. Affiliated with 156,297 living alumni like Zach Galifianakis and Jill Wagner, North Carolina State University is a public, land-grant STEM-centric research hub that owns 107,000 total acres in Raleigh to educate 9,904 post-grad Wolves both near and afar. The U.S. News ranked NCSU for America’s ninth best online engineering and 29th top online education master’s degrees. Featuring seven-week semesters, NC State has some easier, test-optional online degrees like the Digital Learning M.S. and Parks and Recreation M.S. Learn more about Easy Accredited Online Master’s Degrees at North Carolina State University here. Attracting 3,954 post-grad Red Wolves, Arkansas State University is a flagship public, HLC-accredited research institution established by Robert W. Glover in 1909 that’s now endowed for $54.9 million with campuses in Jonesboro, Paragould, Querétaro, and online. The U.S. News recognized A-State for America’s 10th best online MBA and the South’s 25th top public education. Starting six times yearly, A-State Online has four easy 12-month, 30-credit degrees, including the M.S. in Reading Education and M.S. in Sport Administration. Learn more about Easy Accredited Online Master’s Degrees at Arkansas State University here. Administered by Chancellor Cecil Staton, East Carolina University is a public, sea-grant economic prosperity campus that’s endowed for $207.9 million on 530 acres in Greenville to serve 5,866 post-grad Pirates and employ 2,004 academic staff. The U.S. News recognized ECU for America’s 15th best online criminal justice and 35th best online nursing master’s degrees. ECU Connect offers some easier non-thesis, internship-exempt online programs like the M.S. in Security Studies and M.S. in Sustainable Tourism for 36 credits. Learn more about Easy Accredited Online Master’s Degrees at East Carolina University here. Divided into 10 colleges, the University of North Texas budgets $865 million annually under Chancellor Lesa Roe as a public, land-grant SACS-accredited college where 6,770 post-grad Mean Green choose studying on 1,200 acres in Denton or online. The U.S. News congratulated UNT for America’s 16th best online teaching master’s and 55th top online MBA programs. On Blackboard with eight-week courses, UNT Online has accelerated master’s like the MHA in Applied Gerontology and M.Ed. in Educational Leadership in easier, nontechnical fields. Learn more about Easy Accredited Online Master’s Degrees at the University of North Texas here. Located on Huntington Ave in Boston’s Fenway Cultural District, Northeastern University enrolls 6,954 post-grad Huskies face-to-face and online as a private, research-heavy UPNE member of the Colonial Athletic Association that’s endowed for $693 million. The U.S. News ranked NEU for America’s 32nd best online master’s IT and 37th top online graduate business degrees. In the College of Professional Studies, online programs like the M.S. in Human Services and M.S. in Nonprofit Management can take just 12 months with practical, competency-based courses. Learn more about Easy Accredited Online Master’s Degrees at Northeastern University here. Opened in 1942 as Montgomery Bible College, Faulkner University is a private, Christ-centered theological school that’s applying Congregationalist values and its $19.1 million endowment to instruct 1,362 post-grad Eagles from its 74-acre campus on the Alabama River. The U.S. News distinguished Faulkner for America’s 20th best online master’s criminal justice education. Faulkner graduates can take fast-track, two-month courses online to easily finish 36-credit degrees like the M.A. in Christian Ministry and M.A. in Humanities without thesis research. Learn more about Easy Accredited Online Master’s Degrees at Faulkner University here. Endowed for $844.6 million, the University of Miami has 5,725 post-grad Hurricanes and 3,030 faculty overseen by Chairman Richard D. Fain to provide private, nonsectarian research-based education on its 453 acres in Florida’s Coral Cables or online. The U.S. News honored UM for America’s 32nd best online business master’s and 61st top online MBA degrees. Logging onto Blackboard anytime 24/7 lets graduates easily complete 16-month, GRE-waiving online programs, such as the M.A. in Communication Studies and Master of Professional Accounting. Learn more about Easy Accredited Online Master’s Degrees at the University of Miami here. Given the 2017 CASE Circle of Excellence Award, Nova Southeastern University is a private, nonprofit community-engaged school based in Davie that’s SACS-accredited to inspire 20,751 post-grad Sharks in over 250 professional majors organized by Provost Ralph V. Rogers. The U.S. News recognized NSU for America’s 47th nursing and 84 teaching master’s degrees online. Swapping theses for capstone portfolios, several 33-credit, self-designed NSU degrees like the M.A. in Cross-Disciplinary Studies and M.S. in Generalist Health Science are easy. Learn more about Easy Accredited Online Master’s Degrees at Nova Southeastern University here. Belonging to the SEC Academic Initiative, the University of Missouri is one of 34 top-tier public, land-grant AAU research institutions led by Chancellor Alexander Cartwright on a $1.57 million systemwide endowment to enroll 7,053 post-grad Tigers in Columbia and online. The U.S. News recognized Mizzou for America’s 61st best online master’s teaching preparation and 89th top engineering degrees. The IDEA platform lets Mizzou graduates take eight-week online courses for non-thesis programs like the Youth Development M.A. and Positive Coaching M.Ed. Learn more about Easy Accredited Online Master’s Degrees at the University of Missouri here. Producing over 55,000 alumni like Donna Oberlander and Kurt Angle since 1867, Clarion University of Pennsylvania is a public, state-funded PASSHE member headquartered on 201 acres in the Pittsburgh DMA with 894 post-grads also studying online. The U.S. News distinguished Clarion for America’s 80th best online business and 133rd top online teacher master’s education. Easier online degrees, including the M.Ed. in Early Childhood and M.S. in Mass Media, have 36 credits with exams instead of research for 18-month completion. Learn more about Easy Accredited Online Master’s Degrees at Clarion University of Pennsylvania here. Partnering with IBM for its SmartCloud Solution, Marist College is a private, tech-savvy Catholic research institution directed by President David N. Yellen on a $220 million endowment in Poughkeepsie to serve 898 post-grad Red Foxes at 26 study sites and online. The U.S. News applauded Marist for America’s 61st best MBA and 66th top business master’s degrees online. Taking 12 months full-time, Marist uses iLearn to teach simplified, non-thesis programs, such as the M.A. in Communication and Master of Public Administration. Learn more about Easy Accredited Online Master’s Degrees at Marist College here. Enrolling 92,500 online students in eight-week sub-terms, Liberty University is the largest nonprofit, distance-oriented Christian college globally that’s endowed for $1.1 billion under CEO Jerry Falwell, Jr. at its central Virginia headquarters. The U.S. News recognized Liberty for America’s 87th best online nursing and 92nd top online business master’s offerings. Accepting up to 18 credit transfers without on-campus intensives, Liberty’s easy, non-thesis programs include the Online M.A. in History and Online M.A. in Worship Arts. Learn more about Easy Accredited Online Master’s Degrees at Liberty University here. Granted the 2007 Robert J. McKenna Award, Southern New Hampshire University is a private, nonprofit higher learning institution chaired by President Paul J. LeBlanc that’s providing NEASC-accredited study to 17,454 post-grad Penmen in Manchester and online. The U.S. News ranked SNHU for America’s 98th top graduate business and 171st best online MBA education. Skipping the GRE exam, flexible, easy online master’s programs like the Political Science M.S. and Social Media Marketing M.S. take just 15 months. Learn more about Easy Accredited Online Master’s Degrees at Southern New Hampshire University here. Established by Donald Eugene Shipp, Jr. in 1967, Louisiana State University-Shreveport is a public, coeducational regional branch in the Red River Conference that’s holding 200 acres in Forbes’ 177th best city for education to train 1,564 post-grad Pilots. LSUS was crowned America’s 205th most conservative college on Niche and 24th top online MBA by Best Value Schools. The Electronic Campus has 10 easy, 10-course online master’s like the MBA in Project Management and M.S. in Nonprofit Administration. Learn more about Easy Accredited Online Master’s Degrees at Louisiana State University-Shreveport here. Featuring a 7:1 student-faculty ratio with 1,200 enrolled in limited-residency or online programs, Prescott College is a private, HLC-accredited nonprofit liberal arts school founded by the Ford Foundation in 1965 in Arizona’s Yavapai County. Granted the 2017 Crescordia Award for Environmental Excellence, Prescott was ranked the West’s 81st best college by the U.S. News. The “College of Distinction” emphasizes easier humanities courses in 12-month, full-time online master’s degrees, including the M.A. in Social Ecology and M.A. in Adventure Education. Learn more about Easy Accredited Online Master’s Degrees at Prescott College here. Led by Scott D. Pulsipher, Western Governors University is the private, nonprofit “New Kind of U” given NWCCU accreditation in 2016 to provide competency-based online learning for 78,709 Owls from its Salt Lake City headquarters. Granted the USDLA 21st Century Best Practices Award, WGU is ranked America’s eighth most affordable online college by GetEducated.com. Free applications allow post-grads to enter easy, 36-42 unit online programs, including the M.A. Science Education and M.S. Cybersecurity, with personal faculty mentoring. Learn more about Easy Accredited Online Master’s Degrees at Western Governors University here. This entry was posted in University Rankings on October 30, 2017 by rebecca genter. Do the Cheapest Accredited Online Colleges Provide a Good Education? Tuition dollars are increasingly a determining factor in where college students study. The U.S. News reports that tuition has risen by 179 percent at private and 296 percent at public, in-state institutions since 1995. Time Magazine shows that the published sticker prices reached all-time highs of $24,610 at public and $45,370 at private colleges in 2016. Since shrinking financial budgets don’t mix well with schools’ mushrooming costs of attendance, students are looking to cut expenses by learning online. Ranked online bachelor’s programs have a mean price of $286 per credit. Virtual college courses can also cost much less by slashing campus fees, housing, meal plans, parking, and transportation. Some learners may worry that the cheapest accredited online colleges won’t provide a good education, so let’s relieve this fear. Cheap online colleges certainly won’t have the prestige of Ivy League schools like Dartmouth, but they can still deliver great degrees if they’re regionally accredited. Regional accreditation from one of six CHEA-recognized agencies certifies that the online school meets the quality standards stipulated by the U.S. Department of Education. However, nationally accredited online colleges are less desirable because they often won’t qualify for federal financial aid, credit transfer, or certification exams. For-profit online colleges also receive a bad reputation for putting investors before students and hiring less experienced instructors to execute predetermined lesson plans. According to the NCES, for-profit schools have a low graduation rate of 23 percent. Regionally accredited online colleges operating on a nonprofit model generally provide the best education cheap. • Brigham Young University-Idaho – Opened in Rexburg by the LDS Church in 1888, Brigham Young University-Idaho is ranked the West’s 13th best college by the U.S. News and America’s 34th best online college on Niche. For $3,920 yearly, online BYU students could pursue 19 degrees, including the B.S. Software Engineering, A.A.S. Family History Research, and B.S. Healthcare Administration. • Alcorn State University – Enrolling 3,720 as a public, land-grant HBCU in Mississippi’s Claiborne County, Alcorn State University is ranked the South’s 95th best college by the U.S. News with America’s 200th best professors on Niche. For $5,269 annually, Alcorn students choose from good online degrees from the M.S. Workforce Education Leadership to the Master of Business Administration. • West Texas A&M University – Located in the Amarillo Metro since 1910 with a $138 million budget to educate 9,901, West Texas A&M University is ranked the West’s 81st best school by the U.S. News and America’s 232nd top public university on Niche. For $7,699 per year, online WTAMU students pursue 13 fully online degrees like the RN-BSN and Criminal Justice B.S. America’s cheapest, accredited online colleges can become even more inexpensive when you pursue financial aid. Before the FAFSA deadline of June 30th, apply for federal funds like the Pell Grant, Iraq and Afghanistan Service Grant, or William D. Ford Direct Loan. Search your state’s education department for programs, such as the Michigan Educational Opportunity Grant and Georgia HOPE Scholarship. Some online schools, including SUNY Empire State College, let students receive Federal Work-Study jobs off-campus. Plus, here are a few scholarships reserved for students studying online. • SR Education Group Scholarship for Women – Worth $5,000, the SR Education Group Scholarship for Women is granted annually to female undergrads and post-grads who are attending nonprofit online colleges for a degree or certificate. Online applications must be submitted by September 30th with 500-word essays to two open-ended prompts. • Jane Ireland Student Fund Scholarship – Ranked #1 by the USNWR, the Penn State World Campus created the Jane Ireland Student Fund Scholarship to support online undergrads who’ve completed 24+ credits of their bachelor’s or associate degree. Those with an overall GPA above 3.2 and unmet financial need can apply until September 22nd. • GetEducated.com Online College Scholarship – Called the “Diploma Mill Police,” GetEducated.com offers the $1,000 Online College Scholarship twice yearly to enrich financial aid for students at distance schools in the USA. Before October 15th or March 15th, applicants with a minimum 3.0 GPA can submit their 500-word goals essay and FAFSA form. High prices don’t guarantee high quality, while cheap tuition won’t mean cheap quality. Begin your online college search by eliminating unaccredited diploma mills that don’t have legitimate approval from regional agencies. Narrow down online schools offering your chosen major with ample technical and advising support. Inquire about financial aid packages that will lower published tuition rates. Scrutinize online student reviews for insider’s information about their experience. Consider online degree rankings to ascertain which schools are the best of the best. Ask important admission questions about the program length, college history, graduate employment, credit transfer, and course platform. Putting in research time will boost your chance of getting great online education cheap. This entry was posted in Frequently Asked Questions on September 27, 2017 by rebecca genter.